Late night snacking is a huge concern for many of the people I work with in our private groups. We are so busy during our day; skipping meals, by the time 8pm hits, we feel ravenous. Here are some SIMPLE ideas to stop the cycle & reach your goals! Avoid unhealthy late night snacks. Keep your hands busy: crocheting, knitting, writing, etc. Check the emotions: boredom, “reward” feeling after getting kids to bed, anxiety about work left to do, etc. Identify the emotion behind the urge to snack at night, sit with it a minute, then drink a big glass of water or tea instead! Veggies like celery sticks, carrots, broccoli etc. Add 1-2 tbsp hummus, salsa, etc. 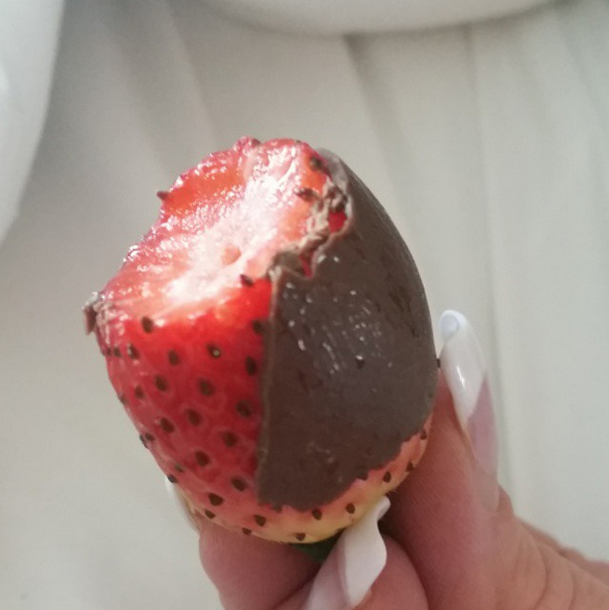 1/2 cup unsweetened Greek yogurt with a tbsp of natural nut butter, a scoop of chocolate or vanilla protein powder, a tbsp of chia seeds, frozen berries, vanilla, OR a drop of stevia (watch the adding up of calories here, can easily become high-calorie). Fit one or two of these ideas into your day, make it a habit, and watch what happens! Many of these ideas were submitted by members of our online community, THANK YOU! Got your own idea? Leave it as a comment below, I’d love to hear more! 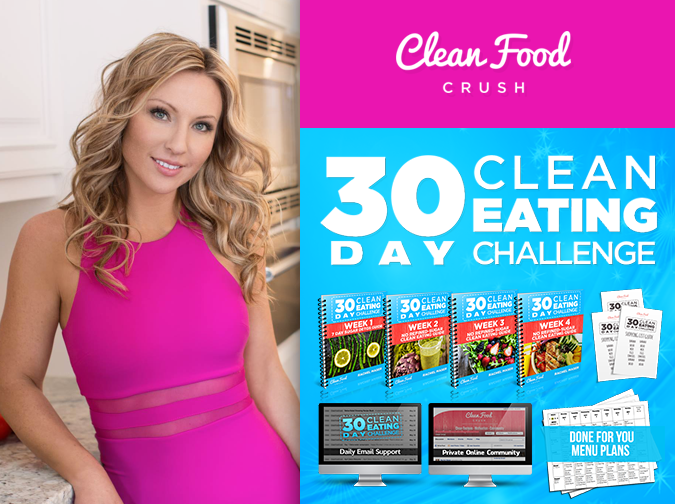 Registration for our NEXT 30 Day Clean Eating Challenge is now available. This brand new program is a 30 Day Clean Eating plan that holds you accountable, and provides the tools and motivation to your healthy goals! You will work directly with ME in a private group in order to stay committed. We have done similar groups before, with many customer success stories, and I expect this group to have the best results yet! Read about our CFC 30 Day Clean Eating Challenge, see if it’s the right fit for you, and get started! We begin the Next Challenge soon! You will have the time to commit. This is for a Limited Time for a Limited Group only, and I have a feeling we’re going to sell out early! https://cleanfoodlove.com/challenge/has all the details on our 4 Week Clean Eating Accountability eProgram. then you will definitely want to see what we have put together for you. Email me at: CleanFoodCrush@gmail.com if you have any questions or trouble ordering.